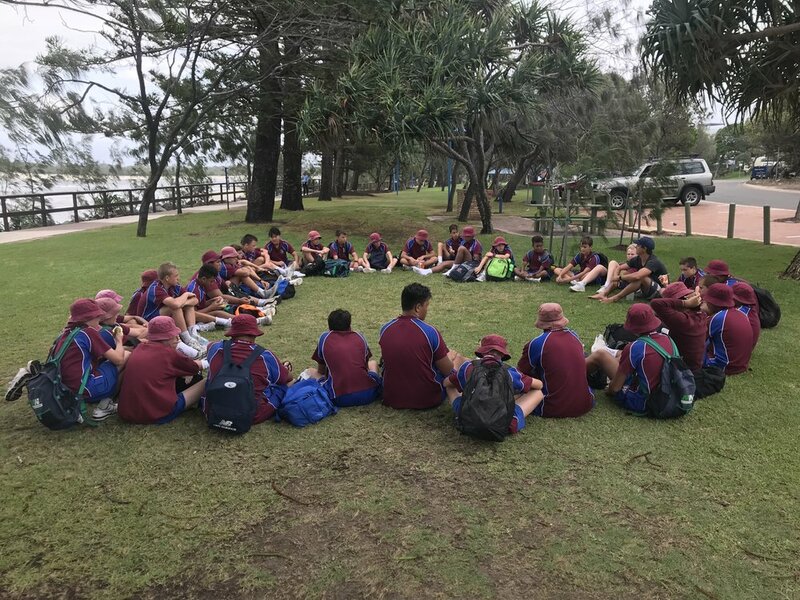 On Tuesday 27th March 2018, the year 8’s Rugby League cohort was lucky enough to escape a deluge of rain in Brisbane when they headed off for a day of surfing and team building with Dan and the team at Sunday Creek Environmental Centre. After a quick safety and how to lesson on the beach the boys were eager to catch a wave. Some of the boys quickly demonstrated an ability to transfer their athletic skills to a new environment whilst others had to work a bit harder but in the end every student including Mr Young and Wilkinson were able to stand up and enjoy a wave. After washing our boards and eating a well-deserved lunch Dan introduced to the group the concept of an Indigenous talking circle. The boys discussed how they could incorporate what they had learned from the day into both the classroom setting and onto the footy field. Thanks again to the Sunday Creek Environmental Centre for a great day!